Dr. Richard Powers is the National Academic Director, Directors Education Program and Governance Essentials Program. He recently completed a 5-year term as the Associate Dean and Executive Director of the Rotman MBA and Master of Finance Programs. A recipient of numerous teaching awards, Rick's areas of expertise include corporate governance, ethics, business and corporate law and sports marketing. 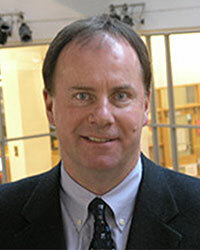 He also teaches in Rotman's Executive MBA, OMNIUM, MBA and Executive Education Programs. He is a director of several not-for-profit organizations and frequently comments on legal and governance issues in various media across Canada.